Onkyo has been in business for quite some time — the company is currently celebrating its 70th anniversary, but that hasn’t stopped it from moving forward. At CES earlier this year the company showed a high-resolution digital music player, and while its 2016 lineup of A/V receivers may look familiar, there’s a whole lot of new stuff going on inside. 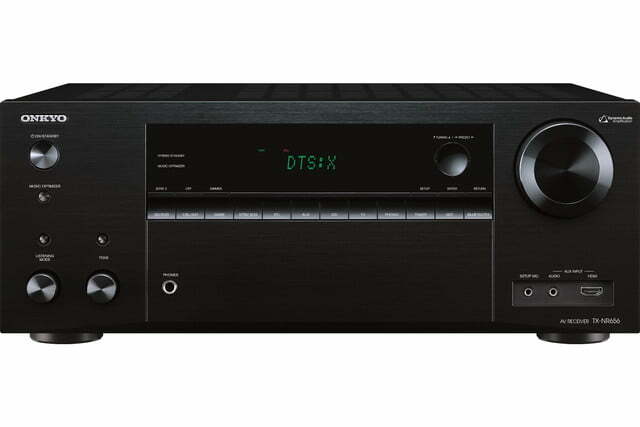 Onkyo announced four new entries in its 2016 lineup, all of which support 4K and the other expected modern formats, but there’s a strong focus on multiroom audio throughout. Three of the receivers boast FireConnect, powered by Blackfire, allowing any audio source connected to the receiver to be sent to another source, as long as it’s also FireConnect compatible. The company’s AccuEQ suite, which helps its receivers automatically calibrate themselves to your room, has also grown with the addition of AccuReflex. This measures sound bounced off the ceiling to make setting up Dolby Atmos in your home easier. 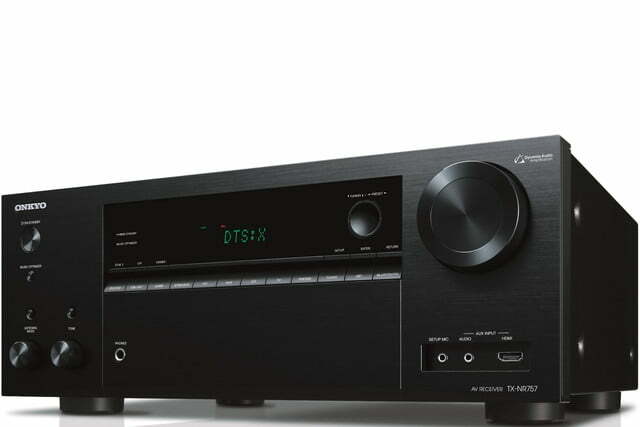 The most feature-packed of the announced line up is the $800 TX-NR757, a 7.2-channel network receiver offering a claimed 180 watts of THX Select2 Plus sound and high-resolution audio through a AKM 384 kHz/32-bit DAC. The receiver offers Bluetooth, AirPlay and Wi-Fi connectivity in addition to streaming support from Spotify and Pandora. FireConnect, Google Cast support, and streaming via Tidal will come in a future firmware update. The TX-NR656 & TX-NR555 offer the same connectivity options and most of the same features, just with slightly less sheer power. 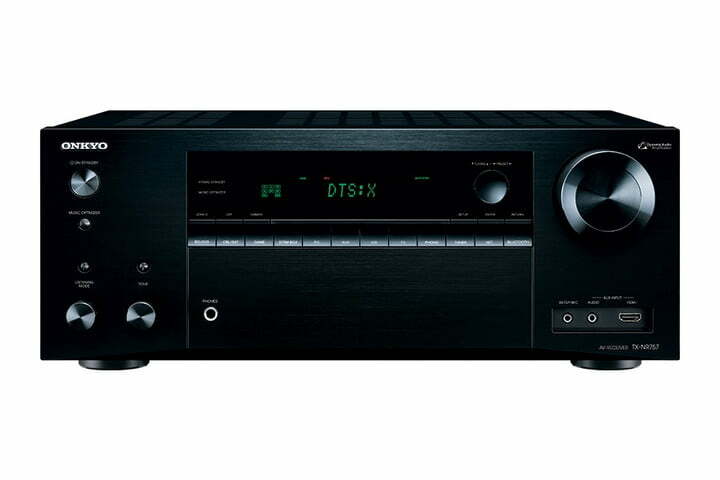 The TX-NR656 offers a claimed 170 watts per channel and sells for $700, while the TX-NR656 costs $600 and offers a claimed 140 watts per channel of power. Like the TX-NR757, both of these will receive FireConnect and the other connectivity options in a coming firmware update. At $400, the TX-SR353 might have the lowest price tag on this list, but that doesn’t mean it’s lacking in the feature department. 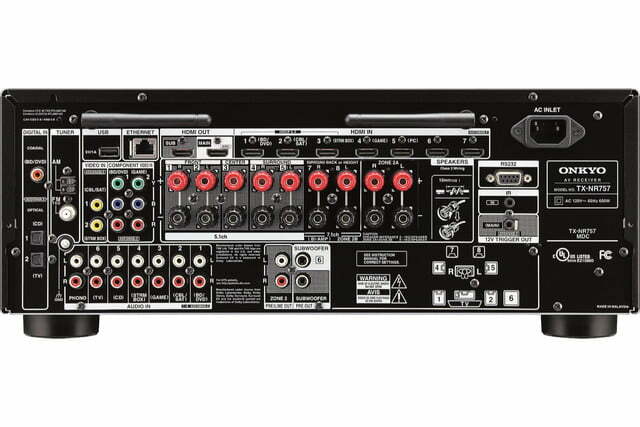 It offers support for 4K video, complete with HDR and four HDCP 2.2-enabled HDMI inputs, as well as Dolby True HD and DTS-HD Master Audio decoding. The channel count drops down to 5.1 channels in the SR353, so AccuReflex isn’t necessary, and FireConnect isn’t included. Still, the receiver offers Bluetooth connectivity and packs in 140 watts per channel, so if you want the power but don’t need the extra features, this might be a better fit. The TX-NR656, TX-NR555, and TX-SR353 will all be available for purchase starting in mid-April, but if you’re looking at the higher end here, you’ll need to wait a little longer, since the TX-NR757 won’t be released until May. 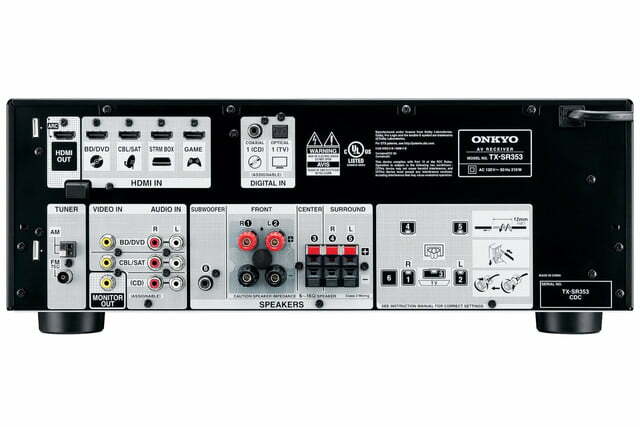 For more information, check the Onkyo website.